KUALA LUMPUR (July 7): Maybank Investment Bank Bhd said it might buy up to 27.77 million Lotte Chemical Titan Holding Bhd shares to stabilise the stock's price. Maybank is the stabilising manager for Lotte Chemical Titan, which is expected to be listed on Bursa Malaysia's Main Market this Tuesday (July 11). Today, Maybank said "the (Lotte Chemical Titan) shares may be subject to stabilising action and the stabilising manager may buy up to 27,768,500 Shares to undertake the stabilising action." (b) the date when the stabilising manager has bought, on the Main Market of Bursa Securities, an aggregate of 27,768,500 shares, representing approximately 4.8% of the total number of shares offered under the IPO (initial public offering)." Lotte Chemical Titan published Maybank's notice on Bursa Malaysia's website today. Earlier, Lotte Chemical Titan had priced the institutional and retail shares for its IPO at RM6.50 each to raise RM3.77 billion. 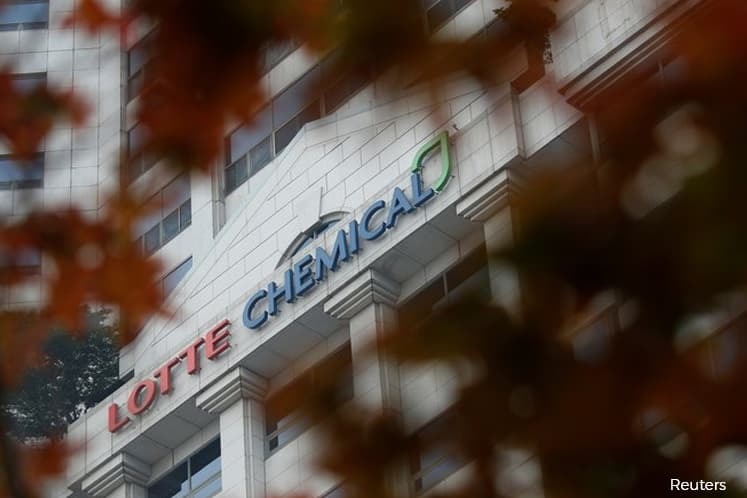 Lotte Chemical Titan's IPO involves 580 million new shares in the company, which will have an expanded issued base of 2.31 billion shares upon listing. Lotte Chemical Titan said the final retail share price was lower than the RM8 announced previously. Based on its IPO share price of RM6.50 and expanded issued base of 2.31 billion shares, the company has a market value of some RM15 billion.